Do you know where your land begins and ends? Properly maintaining the boundaries of your property is critical when you, or a neighbor, are planning to sell timber. Inherited property is particularly at risk. Your Dad or Grandfather may have told you the property line runs up the center of the hollow, crosses the creek at the old gum tree and takes a left a pile of rocks 50 yards up the side of the mountain. But has the property ever actually been surveyed? Land records describing the property may be challenging particularly on parcels that are based on geographical descriptions may no longer be available. Handshakes and boundary “understandings” between neighbors or family members are not enough. 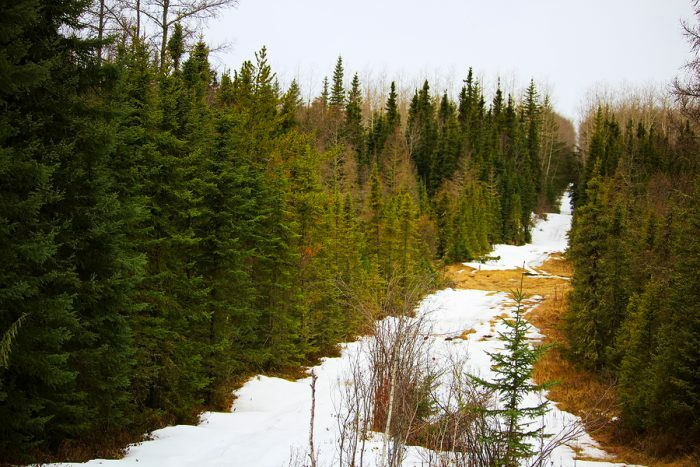 A legal survey needs to have been made of your land before you begin a discussion of selling the timber or creating a woodlot management plan. Surveys can be expensive, but cutting someone else’s timber can have expensive legal ramifications (and destroy good relations with the neighbors). After a survey is made, make sure you routinely keep the boundaries clear and the corners and line blazes intact. It is easier and lots cheaper to maintain your lines regularly that to have to re-establish them. When you create a woodlot management plan, it should include a description of the property lines — even providing contemporary physical notations to supplement those on old surveys. At Fulton Forest Products we have found that knowing exactly where your boundaries begin and end, help avoid future headaches. Call us at (814) 782-3448 for help in planning or maintaining a survey of your property.